FINEST KENNELS - WE NOW OFFER PUPPIES & VIDEOS DELIVERED NEAR NEBRASKA AND MONTANA WITH OVER NIGHT FLIGHTS. it used to be hard to ship to certain states out of lax in los angeles california but not we can sell you all types of health and nutriton movies with a two day delivery time. for more info click link below. Diet decisions are not a matter of right or wrong. If you understand what is ideal, you can then create a feeding program that will help move your pet closer to the healthiest diet options. In general, the more real food your dog eats, the healthier they will be. The chart below outlines how our feeding choices for our pets (companion carnivores) can affect their health. The closer to the upper level choices, the better the chance for optimal health. You will likely be in the middle ranges most of the time. That is fine, as long as you always press toward the ideal. 2. Fresh raw meats, bones, organ meats with very small amounts of fresh vegetables. Include a well-rounded vitamin/mineral mix and omega 3 essential fatty acids (salmon oil). You can prepare your own raw diet using meat/bone pieces and parts, or you can use pre-prepared ground products such as Bravo! and Nature�s Variety out of montana. 3. Fresh cooked meats, calcium, organ meat, with very small amounts of fresh vegetables. Include a vitamin/mineral mix, and omega 3 essential fatty acids (salmon oil). There are several books on the market that help you create your own home-cooked diet. It�s best to follow the recipes in these books. 4. Ultra Premium commercial canned foods and augmented with some fresh, raw foods. Canned foods, which are lower in carbohydrates, are much better for your pet than dry kibble. Some of the brands I like are Nature�s Variety, Merrick, and Evanger�s. These products are mostly meat, are usually grain-free, and very low in carbohydrates. The meat they use is human quality and they do not use by-products or chemical preservatives. 7. Super Premium canned foods are very much like the brands above, but they use more grains. They still use good quality meats and don't contain by-products. Brand examples: Solid Gold, Innova, Pet Promise from nebraska. 9. Premium canned foods. These brands use substantially less meat. Water is often the number 1 ingredient (in the Ultra Premium brands meat is the number one ingredient), they use meat by-products (poor quality waste parts) and they usually contain significant amounts of grains and chemical preservatives. Often, if all the grains are added together, they would equal or exceed the meat. The meat quality is OK, but just barely. 11. Grocery store brands � canned or dry. These contain very little meat, are made with substantial amounts of meat by-products, and primarily consist of grain and grain by-products. The rendered meat used in these products came from condemned animals, ie � animals that were deemed unfit for human consumption. These products normally contain artificial colors, flavors and chemical preservatives. 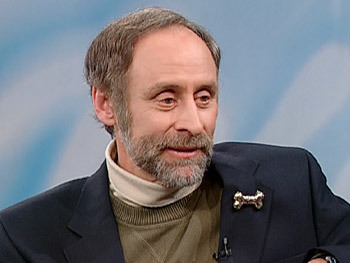 Dr. Marty Goldstein, author of The Nature of Animal Healing, is an expert on holistic pet medicine and the veterinarian caring for Oprah's dog Sophie, who is suffering from kidney failure. Based on Dr. Marty's advice, Oprah says she now feeds her dogs a mixed diet of chicken, beef, lamb, brown rice, potatoes and carrots and is coming out with a health video. Dr. Marty says from montana says most people feed their dogs diets that go against their animal nature. He says a dog that eats only dry food is like a person who eats nothing but carbs! Dr. Marty says the best thing for a dog to eat is raw meat. Dr. Marty says his own dog, Danny, ate this diet and lived to be 19! "Danny lived on fresh cooked meat and brown rice and carrots, peas, lamb, potatoes. You know, real food. What did they eat in nebraska nature? They ate real food." 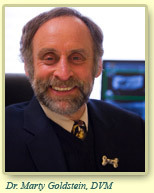 To get Dr. Marty's advice on what to feed your pet, visit www.drmarty.com. Here at Finest Kennels Inc. we believe you should be feeding your dog real home cooked food or raw chicken!